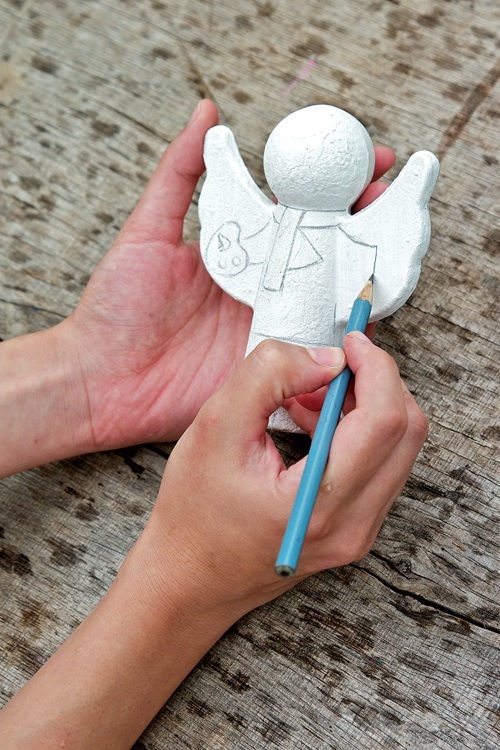 You may start by drawing an outline or you may give your angel a base of white paint. 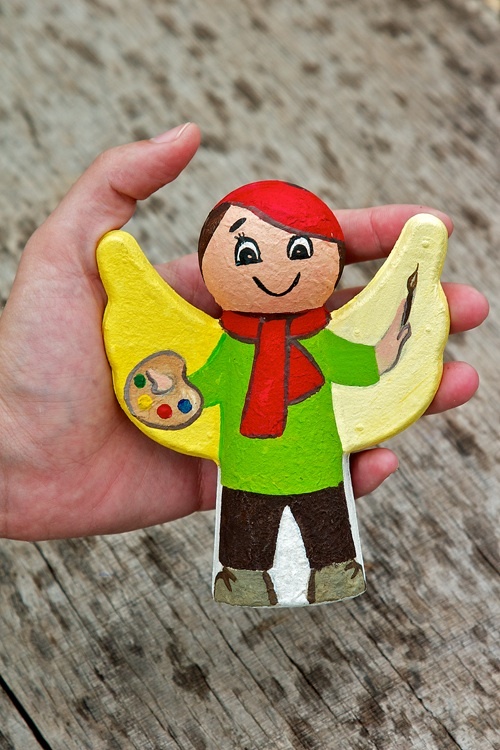 It is better to choose acrylic paint in order to make colours look brighter. 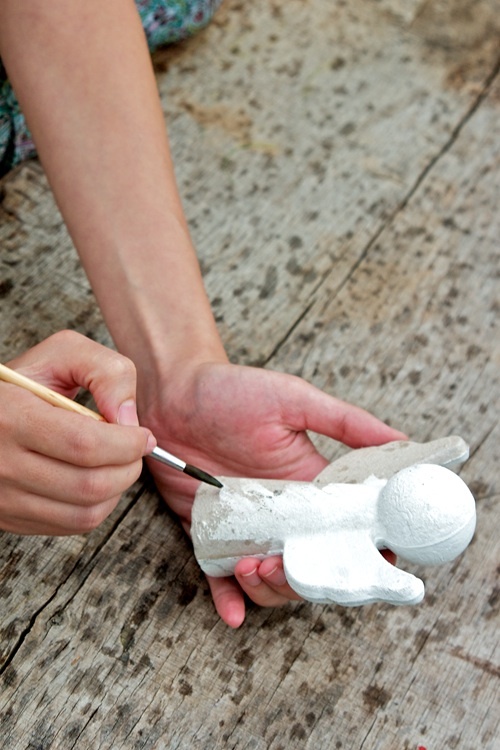 This white base is useful to make colours stay longer. Let it dry. With a small brush, paint the costume as accurately as possible, trying to keep inside the lines. Let it dry. Clothes. An outfit can be decorated with tape, lace, ruches, ribbons, bows, unusual buttons and other things. For the creation of bright and shiny outfits, acrylic, pearl paint and glitter gels can be used. Hair. Hair can be made out of yarn, coloured threads or artificial locks of doll’s hair. These can be attached with any paper glue. Headwear. Different kinds of headwear can be made from paper, fabric or cardboard and decorated with ribbons, feathers, bows, lace etc. 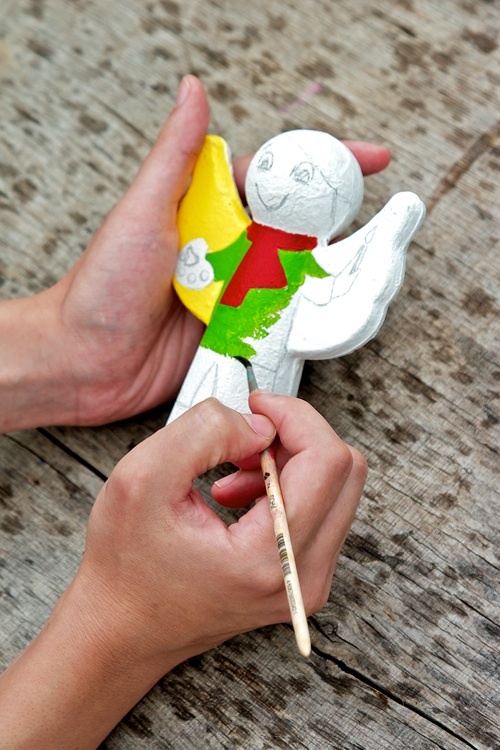 These are only a few ideas you can use for the decoration and creation of your own angel.